2013: Conceptual rendering of the culinary arts building at College of the Canyons' Valencia campus. The building is designed by Kruger Bensen Ziemer Architects Inc. of Santa Barbara, which is COC's master architect. The Santa Clarita Valley needs a modern, efficient, affordable, maintainable, and accessible education center where all aspects of the Culinary Arts can be taught to the highest possible standards. We envision a center where instruction in the Culinary Arts will be conducted by the most talented and respected professionals available, at an affordable cost — and of the highest quality — that will encourage students of all ages and backgrounds who wish to pursue the Culinary Arts as a lifelong profession. The Santa Clarita Valley and greater Los Angeles area are home to 2,007 restaurants of all sizes and types. Among these restaurants are some of the finest established eateries in the country, as well as ethnic and theme restaurants, the newest in fusion restaurants, and eateries that combine the best of cultures, techniques and cutting-edge culinary ideas. These restaurants will need well-trained, creative and passionate employees for generations to come, underlining the need for a permanent teaching facility on the College of the Canyons campus. We envision a 12,000-square-foot building in an architectural style that underlines both the simplicity of the reflective glass surfaces found on nearby structures and underlines an elegant sophistication appropriate for a building that will serve educational as well as social functions. Individual elements include a "Show Kitchen," a "Savory Kitchen," a "Sweets Kitchen," an area for "Wine Studies," a "Culinary Lab space" and instructor office spaces. The current estimate for the cost of the new Culinary Arts building is approximately $8 million. 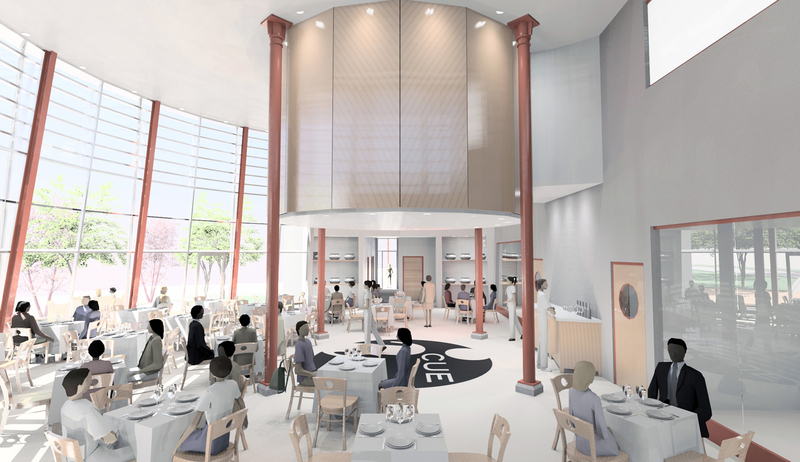 Late in 2010, the college received outstanding news that the Library expansion project had come in $3 million under budget — and that savings can now be applied to the Culinary Arts project. * Additional degrees, certificates and programs that respond to the needs of the industry. A facility such as the one envisioned here will help facilitate the expansion of Culinary Arts offerings. CO1301: 9600 dpi jpeg from digital image.